Sign-Ups and Banners releases a new logo and website. « Happy Independence Day America! 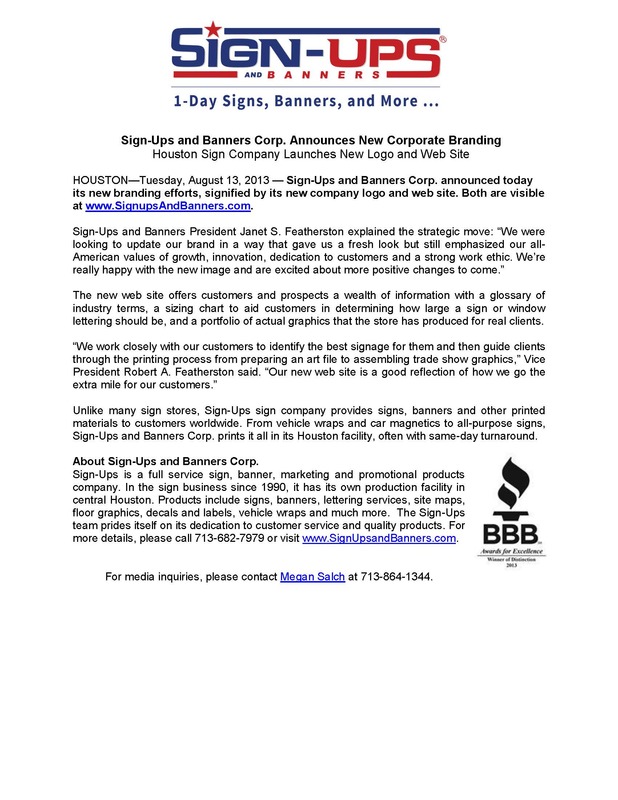 HOUSTON—Tuesday, August 13, 2013 — Sign-Ups and Banners Corp. announced today its new branding efforts, signified by its new company logo and web site. Both are visible at SignupsAndBanners.com. The new web site offers customers and prospects a wealth of information with a glossary of industry terms, a sizing chart to aid customers in determining how large a sign or window lettering should be, and a portfolio of actual graphics that the store has produced for real clients. 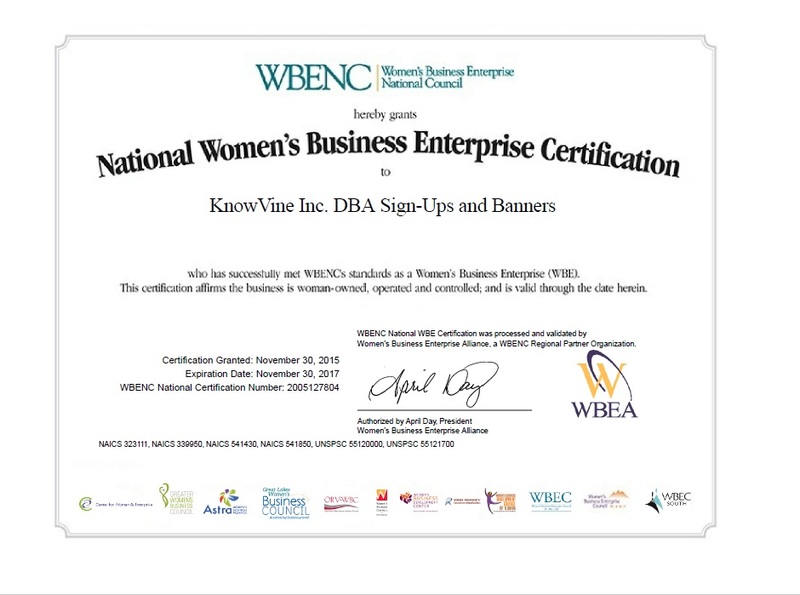 Unlike many sign stores, Sign-Ups sign company provides signs, banners and other printed materials to customers worldwide. From vehicle wraps and car magnetics to all-purpose signs, Sign-Ups and Banners Corp. prints it all in its Houston facility, often with same-day turnaround. Sign-Ups is a full service sign, banner, marketing and promotional products company. In the sign business since 1990, it has its own production facility in central Houston. Products include signs, banners, lettering services, site maps, floor graphics, decals and labels, vehicle wraps and much more. The Sign-Ups team prides itself on its dedication to customer service and quality products. 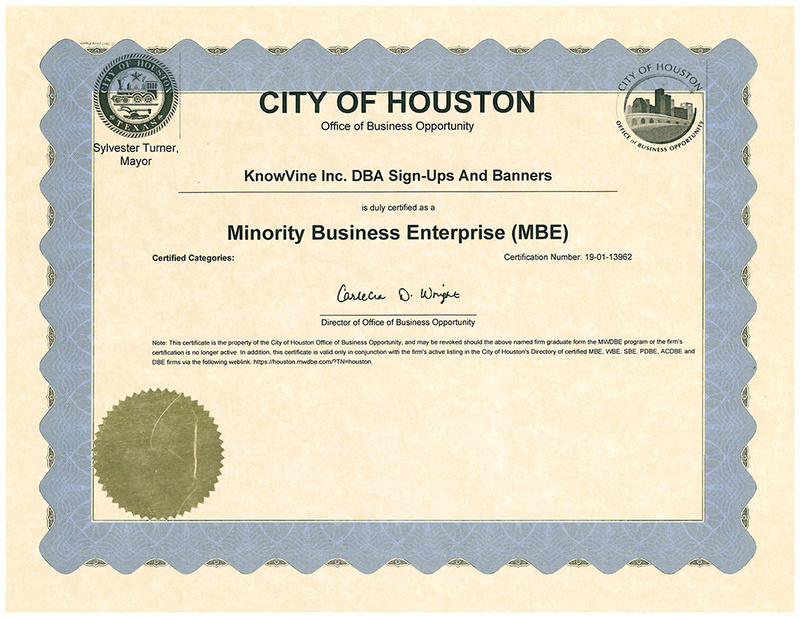 For more details, please call 713-682-7979 or visit SignUpsandBanners.com. 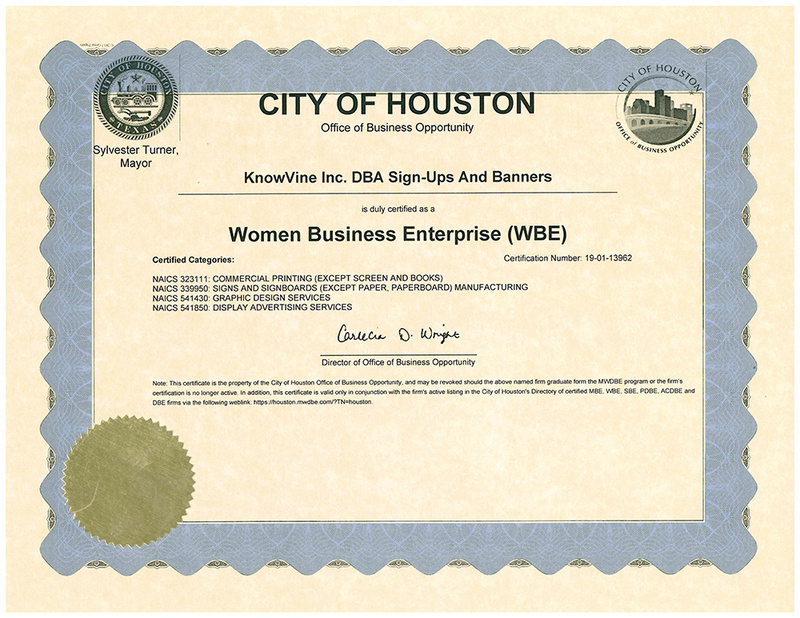 Tagged Banners, Branding, Houston Signs, Logos, Press Release, Signs. Bookmark the permalink.